Make your unique identity by wrapping the gift items in cardboard gift boxes. Gift decorating is an art and special expertise is required to make attractive cardboard gift boxes. To make the customers fan of your gift shop, packaging boxes should be your first choice as they can enclose any kind of product easily in them. To make them attractive you can add embellishing add-ons, ribbons and laces that will add glamour in them and make the customers always choose your brand while selecting a product for gifts. 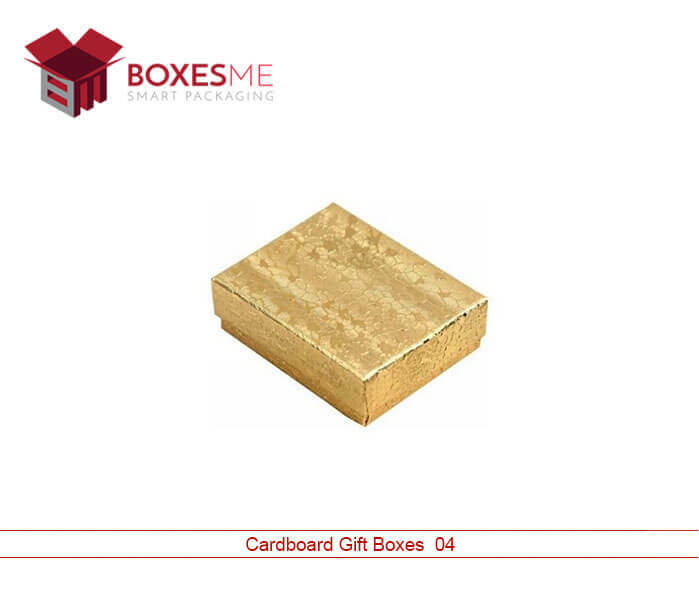 How You Can Make Gift Box with Cardboard material? Cardboard is one of the best packaging box materials that is used for gift packaging. 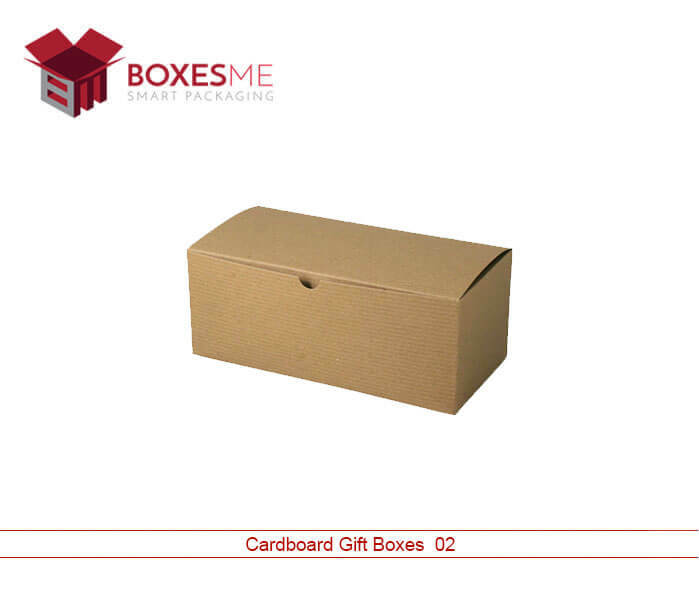 Specially designed cardboard gift boxes are spacious and accommodating that can enclose various size of gifts with ease. Whether it is cosmetic gift, apparel, electronics, jewelry or a ring, the cardboard gift boxes provide the best solution for gift packaging. You can also design these boxes using hard cardboard material that has its own elegance and appearance that is perfect for gift packaging. It’s special magnetic closure and snap shut styles can impress anyone who is receiving the gifts or present. What are the most creative Cardboard Gift Boxes Design? As gift can be of any nature, their boxes can never have a specific shape or dimension. This is where custom cardboard gift boxes are so handy. Due to the availability of the customization options, you can die cut your gift boxes according to the dimensions and style of the box. Two piece style, Hexagon shaped, 1 2 3 bottom style or sleeve and tray boxes style can be used for the gift boxes. You can even make your boxes in reverse tuck end or seal end style to enclose your perfumes and other cosmetic gifts. You can create a total new style or design according to your choice and desired style. According to the usage of the cardboard gift boxes, suitable material is used accordingly. Cardboard and Kraft material is used to display or storing the promotional products in the stores. Whereas corrugated stock is used for shipping the products through long distances. Special subscription boxes are made for gift giving, these boxes are made with full color printing that will impress your subscribers. Moreover, you can also add die cut windows, inserts and handle on the boxes to make them useful and attractive. To make a statement with your gift presentation, BoxesMe provides the solution for you. Our free designing assistance and free shipping facility will allow you to get hassle free access to the cardboard gift boxes. While making these boxes, high quality is assured in which our quality assurance team make sure that each box is made according to the dimensions and specification of the customer. Order your boxes now and get the best packaging solution in shortest turnaround time.